Today's Gratitude Essay is from our friend Irma Mitton. 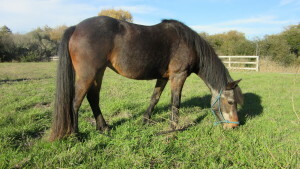 The Mitton family recently adopted Square Peg horses Ricky, Rico and Sam. We are so grateful for our adoptive families. The perfume of horse happiness – grassy, earthy, sweet, unfiltered. Once it gets into your olfactory system, it makes its way permanently into your heart. It becomes part of your bloodstream, and as necessary as oxygen. This year, Square Peg gifted our family with its own unique formula of horse happiness. We’ve always enjoyed riding in many disciplines and our Pescadero farm served as a happy home for several equine athletes retired by our trainer and friends. This year, the time was right for us to branch out and find a new way to immerse ourselves in horseyness. 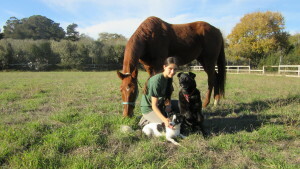 Our daughter Laurel began volunteering as a barn girl with Square Peg this June. Three afternoons each week, she came home tired, sweaty, dirty, and with a radiant grin that could outshine a full moon. After cleaning 20 stalls, grooming and tacking up half a dozen horses, she was covered in that unique “perfume” (ahem, cough) of horse happiness. 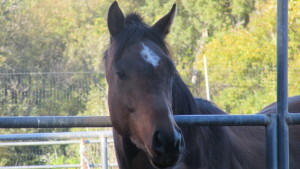 Her happiness sparked a resurgence of excitement about horses in our entire family. Suddenly, I remembered what it means to be a true horse(wo)man. I found myself again spending hours watching training shows on RFD-TV and re-reading the classics (Tom Dorrance’s True Unity, Mary Wanless’s The Natural Rider, and of course, Alois Podhasky’s Principles of Classical Horsemanship). 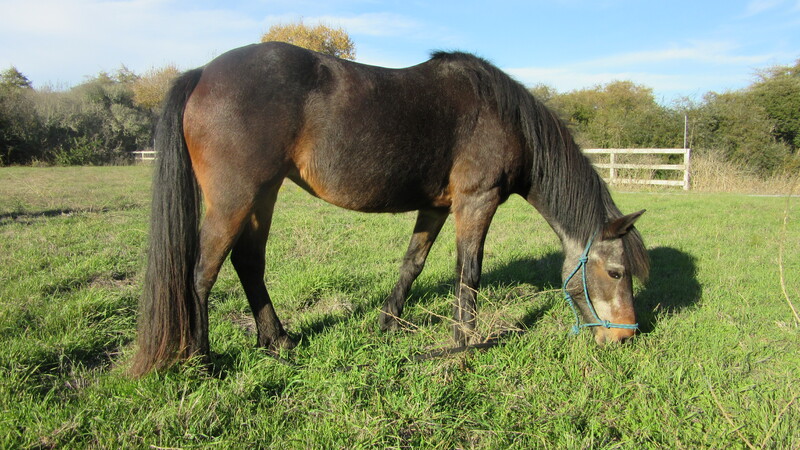 We find ourselves spending more time together as a family in our own barn, which is now enhanced with two retired Square Peg horses, Rickie and Sam, as well as Rico, a beautiful young OTTB rehomed through Square Peg as well. 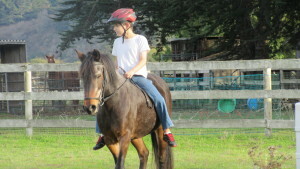 Laurel takes her enhanced confidence and sensitivity, as a rider and as a person, with her wherever she goes, and our son Rob has also begun riding again (thank you, sweet Rickie!). As we approach the holidays and reflect back on our year, we are immensely grateful for all the Square Peg has bestowed on us this year: exposure to so many different horses, new friendships and connections with strong and compassionate role models, and a stress-free place to hang out, laugh, and BREATHE. 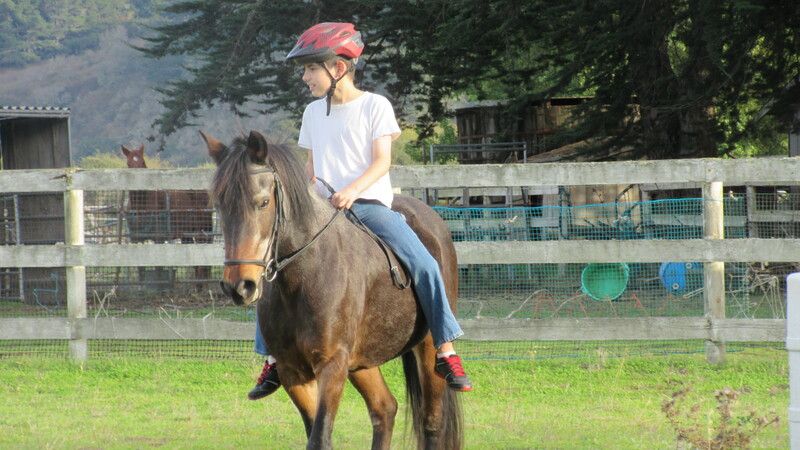 Most importantly, we grateful that our experience with Square Peg reminded us of a very important lesson: regardless of your age, physical condition, or state of mind, time with horses is therapeutic. Horse happiness may smell a little different, but it can heal pretty much anything. We are more than half way to meeting our $10,00 challenge grant! Every dollar you donate between now and the end of the year will be matched up to $10,000! Your support is a lifeline to our families and the horses who call Square Peg their sanctuary. We are so grateful for your support.